It’s that time of the year again, cold and dark, yet it’s far from gloomy. 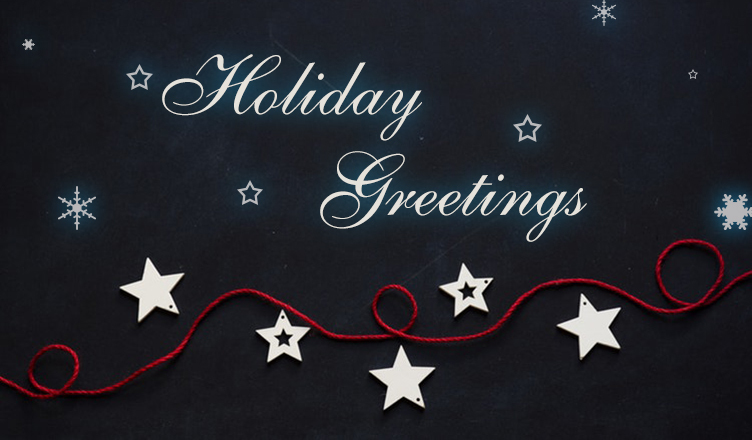 It’s the holiday season and we are here to give you all some major Holiday Greetings idea! Since winter has set in with the beautiful lit houses and festivity all around. It is surely a busy time with family reunions starting from Thanksgiving and a busy travel period ending post-New Year. In between, there are other celebratory occasions almost every day. Advent marks the beginning of Christmas and till then it has events such as St. Nicholas Day, Christmas Card Day, Christmas Tree Light Day and many more. Now how do you prepare for such a busy season? • How is the Holiday season celebrated in different parts of North America? • What are the religious beliefs surrounding the festivals? • What type of food is most popularly associated with the event? • What is the latest trend with respect to the holidays? Black Friday is the Friday following Thanksgiving Day that sees scores of shoppers trying to make the best use of the fabulous deals available in stores. It also marks the beginning of the Christmas shopping season. Winter in North America means a lot of snow in most parts and frozen lakes. Thus it is a perfect time for winter carnivals and ice skating on the lake. Christmas is marked by attending church services, decorating homes with Christmas trees and exchanging greetings and gifts with family and friends. Of course, Santa plays an important role on Christmas as no Christmas tale is complete without Santa and his bag of goodies. All these elements can be reflected in a card to make it beautiful. Users must be transformed into another cheerful land with pleasant visuals and feel the holiday spirit. But what makes a card likeable is the perfect combination of visuals and messages. We will keep you all updated with the upcoming festivals and events.